McGill is the second greenest campus in Canada according to the 2017 Corporate Knights Green Campus Ranking. Campuses were evaluated on initiatives they have undertaken to improve their environmental impact, including green buildings, greenhouse gas emissions, sustainable transportation, purchasing, and waste management. Following the signing of two major international Declarations on University’s commitment to sustainability in the early 1990s, McGill’s passed its first Environmental Policy in 2001, marking a turning point in institutional commitment to environmental responsibility and environmental literacy. Since then, the University’s action on sustainability has blossomed – passing a Sustainability Policy in 2010 and the Vision 2020 Sustainability Strategy in 2014. The result of a two-year consultation process, Vision 2020 set a series of visions and goals across five categories (Research, Education, Connectivity, Operations, and Governance & Administration) to guide the University’s actions related to sustainability. “Our greatest sustainability accomplishments to date, from greenhouse gas emissions reductions to an increased focus on climate and sustainability in our educational programs, have resulted from the collaboration of our students, faculty, and staff at McGill,” noted Sustainability Director Francois Miller. The announcement of McGill’s green campus ranking comes just as the University is finishing its Climate & Sustainability Action Plan, a continuation of the Vision 2020 Sustainability Strategy, which will be released later this semester. McGill is home to the largest fund dedicated to sustainability among North American universities and has funded nearly $6 million to over 170 projects since its creation in 2010. McGill’s Life Sciences Complex was the first university-owned laboratory in Quebec to receive LEED Gold certification. In 2015-2016, McGill dining halls served more than 20,000 kg of produce, 3,400 kg of beef, and 180,000 eggs from the Macdonald campus farm. 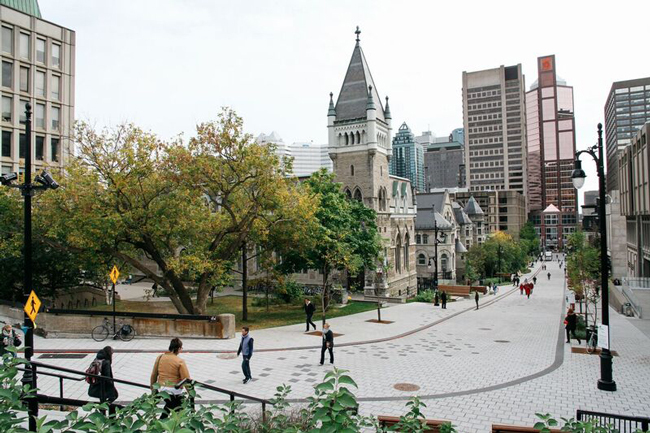 McGill was named Fair Trade Campus of the Year by Fair Trade Canada in 2017. McGill’s Procurement Services won two international awards in 2016 for its Five-year Sustainable Procurement Strategy. In 2015-2016, over 200,000 litres of agricultural-grade soil were created and 190 tonnes of greenhouse gas emissions were reduced due to the recycling and composting efforts in McGill’s residence dining halls. As of 2015, McGill has reduced its greenhouse gas emissions by approximately 34 per cent below 1990 levels and has invested more than $19.1 million in energy-saving projects.